The time of waiting is nearly over, or so they say. 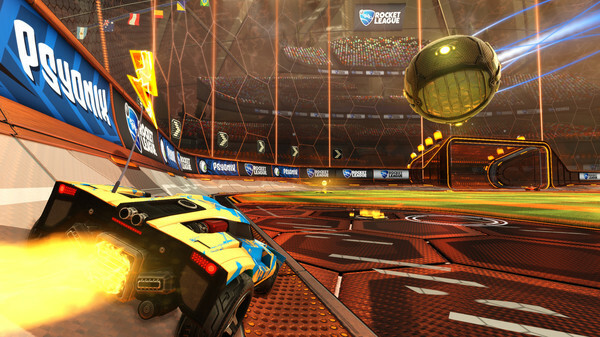 A member of the Rocket League team mentioned on the Steam forum it will be due very soon at the end of Q1 2016. Correction: The developer meant to say Q2. I do hope they wait is really worth it. I've been wanting to play it a lot, and the online multiplayer is still very healthy right now so it would be a great game to have on Linux. It was originally due before the end of 2015, then Valve caused a delay, so we have been waiting quite some time. Are you still excited? My excitement has worn off a bit after so much waiting, but I imagine when it drops I will be very happy. Better late than never. Still, it's quite embarrassing that this was supposed to be a launch title for the Steam Machines. Most of us are used to Valve Time by now, but it doesn't look good to people on the fence about getting a Steam Machine when games keep getting delayed. WorMzy it doesn't look good to people on the fence about getting a Steam Machine when games keep getting delayed. Between the recently announced Rocket League Championship Series and the Batmobile drop this past Tuesday, I was starting to get a little hacked off over this delay! Let's hope all those penguins who want to can register for the $75,000 prize pool come March 25th! At the end all these Games will be released at the same time and I am gonna freaked out!!! wolfyrion At the end all these Games will be released at the same time and I am gonna freaked out!!! No, they won't. I know GDC is going to take place in one 4-8 days from today, but I don't expect anything more than what we had last year - few big titles announced and a year of waiting for them with some titles just being cancelled during that year. Sad, but realistic. Yeah, who can forget that Steam splash screen last year during GDC Expo Days with Batman: Arkham Knight and PAYDAY 2? this game is already really smooth with wine, hope it will be straightforward on linux. I hope so, I dont want to keep booting on windows just to play it, since my wine doesnt like it. This has been the 3rd time we read the "It will be released soon" phrase since 2015.